Pen to Print first began in November 2014 when, after several years of planning, we were successful in getting a grant from Arts Council England to be able to make it happen. The aim of the project was to harness local creative writing talent and to get their work published. Latent talent had become evident to us when we held a small writing competition during one of our annual Reading Festivals, now known as ReadFest. Pen to Print takes place over the course of a year and features free Creative Writing classes, author visits, and several writing competitions plus the three week ReadFest. We have been very fortunate to have the support of bestselling author Martina Cole as the project’s Patron. What is Pen to Print? Pen to Print is a multi-faceted Creative Writing project and, at first glance, appears to be nothing out of the ordinary. However, I have had the pleasure of gathering together a dedicated, enthusiastic and inspiring team of professional writers and artists, including authors Ian Ayris, Barbra Nadel, Olumide Popoola, Stewart Ross, poet Anna Robinson, and children’s author Ann Stairmand amongst many other talented people, too many to mention here, who have been instrumental in delivering something that has become very special. This year’s theme was Real People, Real Stories, and we expanded the offer to include a video element with a roving Video Bite booth. This recorded short videos clips of anyone who wanted to share a story, but felt unable to write it down. The programme also included a Playwriting Short Course run by Eddie Coleman and a Comic Book Short Course run by Amanda Lillywhite, all free and open to anyone to participate in. One of the many highlights has been ReadFest, where we feature a mix of leading authors, including: Jane Corry, Dreda Say Mitchell, Kimberley Chambers, Simon Toyne, Ben Aaronovitch and James Bowen with Bob the Cat; along with emerging talent representing the cultural diversity of the borough. 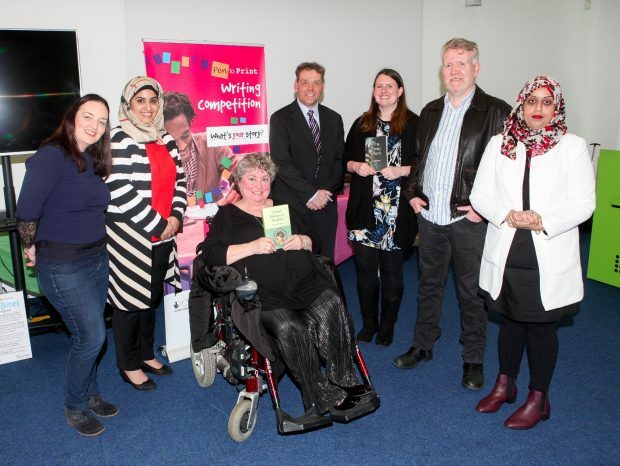 The event allows them to share their latest books and insights into their own personal experiences of becoming published writers, and to stand as examples that it is possible for anyone to achieve their dream. We have recently finished the second cycle of the project and I have just had the pleasure of helping to host the Awards ceremony. 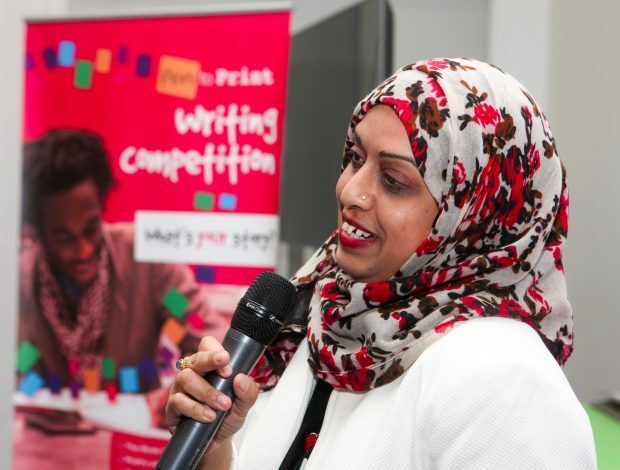 We have successfully guided another eight writers through the process of writing a novel with Farzana Hakim winning this year’s competition with ‘The Silence of a Deep River’. Farzana has now got an agent and is hoping to find a publisher soon. Ann Dineen won the Poetry Competition with her Poem ‘The Commute’. Hugh Prior was placed in all three writing competitions, with his Short Story ‘An Evening with Eva’ winning, his Poem ‘Olympian Task’ coming third, and his novel ‘According to Mark’ placed second in The Book Challenge. Since we began, the project has featured over 200 artists, engaged over 7,000 participants and helped create 1,000 new original pieces of writing including 16 completed novels. We have opened up these opportunities to local people who had never seen themselves able to become professional writers and tooled them up with advice and experiences. As a result, we have to date had 3 books published and a Pen to Print author getting an agent, but more than this we have changed lives, opened up horizons and shown people that, with a little faith, anything is possible. Shy people can now speak eloquently in a room filled with people; one of our participants has even discovered a brother in America she would never have found if she hadn’t taken part in Pen to Print. These are just two examples demonstrating what a simple project can do. We have now got funding for another cycle of Pen to Print which I am now frantically trying to finalise before we launch in May. We are also waiting to hear if we have been successful in our bid to become an Arts Council England, National Portfolio Organisation so we can expand the reach of the project into surrounding areas, strike up new and exciting working partnerships with other arts organisations and guarantee Pen to Print existence for a further four years! 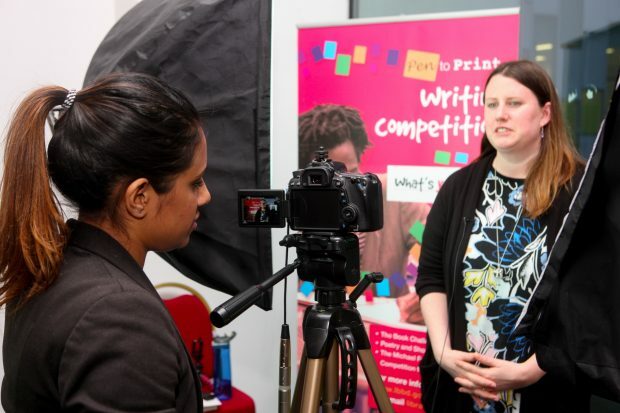 Pen to Print Video Bites can be viewed on our YouTube Channel and the channel also features clips of ReadFest 2016 events held in September. To keep up to date with events and activities in Barking and Dagenham libraries, keep an eye on their website or follow Barking and Dagenham council on twitter.